MXPlayer is here with a new streaming content service that manages to bring all producers and publishers under a single roof. 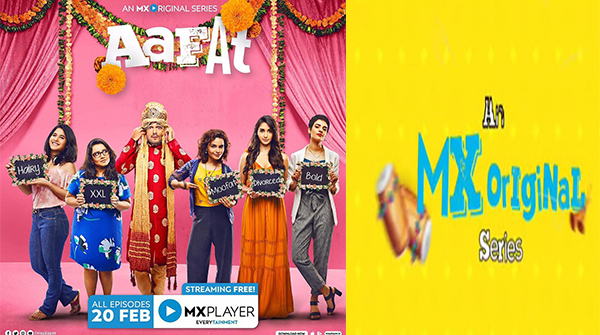 From Bollywood, television, web series, music and news, etc., MXPlayer is now out with a new web series named Aafat. Starring Nikita Dutta, Neelam Sivia, Chitrashi Rawat, Anshul Chauhan, Pushtiie Shakti and Sidharth Bhardwaj this web series dives into the concept of young groom searching for bride. The matchmaker introduces the characters and says there one problem, and at the end Aafat is spelled out. Have a look at this trailer of unique web series all ready to be seen on 20th February streaming online at MXPlayer.in website. Nikita Dutta was last seen in Haasil and Ek Duje Ke Vaaste which aired on Sony TV. She was recently in the headlines for her new music video. We wish to the entire cast all the best as this series is set to launch this month. Nakuul Mehta’s Response To Nikita Dutta’s Twitter Post Is Friendship Goals! So good to see Pushtie after soo long!!! !